Terminal Appointment and Booking System (TABS): Problem or Solution to Faster Customs Releasing? Importers and exporters are very much familiar with how the final steps of importing in the Philippines should take place: they must for their imported articles to processed by customs, pay the necessary customs duties and fees, and the delivery of the imported goods to its final consignee can finally take place. 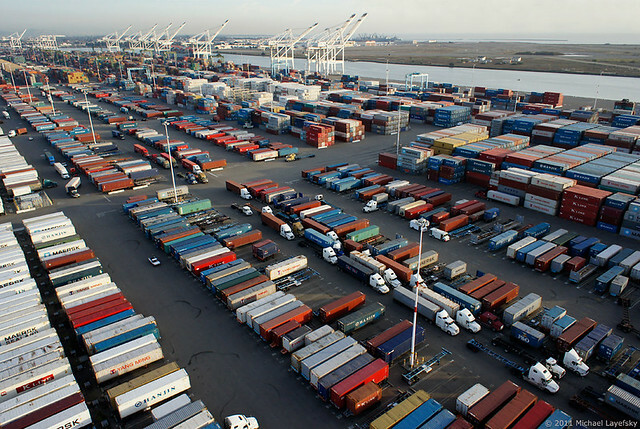 However, consignees cannot simply send their delivery trucks and trailers to the premises of Manila South Harbor and Manila International Container Terminal without booking an appointment first. And in order to do that, consignees must use the Terminal Appointment and Booking System or TABS. Went into on October 2015, this system is an electronic platform is implemented in the aforementioned ports in Manila where the majority of the importations are brought in. According to its proponents, the Asian Terminals Inc., TABS is designed to keep the movement of goods flowing at Manila’s international trade gateways. Specifically, the web-based platform serves as a platform by which brokers, forwarders, importers/exporters, and shipping line representatives to schedule the withdrawal and delivery of containers at Manila Ports based on time zones spread throughout the 24-hour period. It is also intended to be in line with the government’s truck ban, ultimately resulting in lesser road traffic and also to minimize and lessen the port congestion in such ports. On October 22, 2015, Manila North Harbour Port Inc. CEO Richard Barclay said in a presentation at the Procurement and Supply Institute of Asia (PASIA) that TABS will benefit its stakeholders in terms of more efficient truck trips, leading to reduced cost; prioritization of cargo release and acceptance; and management of volumes, forecasting, and planning. While many appreciate the objective of TABS to facilitate smooth flow of traffic and goods around the ports, it also received strong opposition from various groups which includes the Chamber of Customs Brokers Inc., Professional Customs Brokers Association of the Philippines, and Aduana Business Club. Moreover, the said booking platform is also inherently flawed which results for customs brokers and companies to rush. According to them, TABS has some slots with booking free and some come with absolutely no charge, which is why many trucks their way to the terminal just to avail a free booking. Outside the pier, traffic still remains rampant and is a major headache not just for commuters but also to transport and delivery providers which cause them to miss their reserved time of booking. Regardless, this situation gives rise to the problem of delays in getting in the port and being penalized. The penalty for late arrivals (trucks that come two hours after their booked slot) is P1,625. Trucks that are not able to arrive three hours or more after their appointment will be fined for P3,251. These expenses are especially painful for smaller firms and causes a delay in the target delivery of the goods. Overall, while the intention and aim of TABS are good but is still in need of several improvements to better cater clients and to provide an excellent customer service. There might be flaws in the system but through improvements and adjustments, it could properly and effectively achieve its goals and be able to address the issues which are related to logistics services.